Edwardsville Illinois – Deciding between a short sale and a foreclosure can be difficult and easy at the same time. For some owners, it might be easy to let the bank take their home and for others it might not be so. The decision depends on many different benefits and drawbacks of both short sales and foreclosure. A residence for personal use is exempt from mortgage debt relief till 2012. Some states will however, tax you until you qualify for the exemption. You can have an extra two or three months to stay in your home even if you have received a foreclosure notice. This is possible when you have applied for short sale and the bank is considering the action. When you again apply for a loan in any bank, the form does not ask whether you have short sold your house or not. You can simply state that you sold it. If you have not failed to make payments thirty days later and the lender does not require the loan, you can buy another home immediately through some banks and institutions such as Fannie Mae. In addition, you can also qualify for a FHA loan immediately. 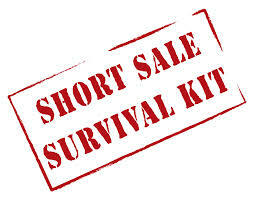 With many benefits, short sale does have its drawbacks. These are related to your credit. If you default a payment, it hurts your credit and you lose a lot of points. Negative credit can stay on report for at least seven years. You may be exempt from mortgage debt relief till 2012. Given the list of benefits, a drawback list is longer. The bank may evict you off the property immediately. So, if you have received a foreclosure notice, you will need to have to make the arrangements quickly. When applying for a home loan, you are required to answer whether your property foreclosed in the past seven years or not. If you state yes, the bank is likely to deny the loan. And if you state otherwise, legal action may be taken. After a foreclosure, banks hardly negotiate with owners over deficiency judgment. After a foreclosure, you are entitled to own a personal home in five years with restrictions and seven years without restrictions. Foreclosure can ruin your credit report for a long time which can make your life miserable as you cannot apply for loans, credit cards and so on. Given the benefits and drawbacks of foreclosures and short sales, you should always opt for a short sale if possible because a foreclosure is similar to committing financial suicide.